Retired Justice Abhay Thipsay, former judge of the Bombay High Court, has joined the Indian National Congress. 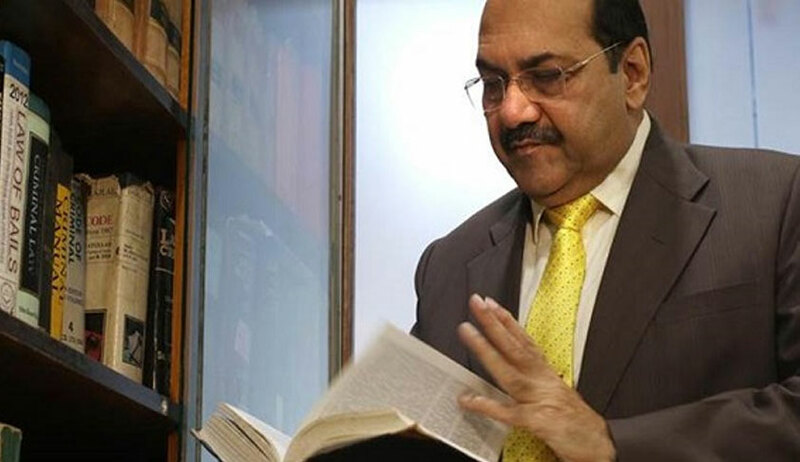 Justice Thipsay says that in order to fight against the rising intolerance within the civil society and communal forces in the country, he found it appropriate to join the grand old party. Justice Thipsay joined the Bar in 1979 and became a magistrate in 1987. He was elevated to the high court in 2011 after serving for 24 years in the lower judiciary. Justice Thipsay always enjoyed a reputation of being an honest and upright judge, however, he was unexpectedly transferred to Allahabad High Court in May 2016, with less than a year left for retirement. He retired from Allahabad High Court in March 2017. Livelaw recently spoke to Justice Thipsay and asked him about his decision to join the Congress. Did you ever have any political leanings? No never. My father was a freedom fighter, but even he gave up politics after Independence. In fact, I have taken many decisions against the executive government and for much of my tenure, the Congress was in power. But you know since 2014, the level of tolerance has gone down and the tendency to tolerate criticism has given way to immediate offensive reaction. I mean defaming someone, targeting them, people gathering outside your house because you do not agree with them, these types of things are growing. Then there is also an agenda to change the Constitution, re-writing India’s history etc. So, I discussed with many of my friends about this move, because I was apprehensive that it might result in loss of credibility but there was no alternative also. Because either you do not speak on these issues or join a political party and take a stand. Raising issues with media, even if they gain publicity, it will never lead to a social awakening. Although I have not signed any paperwork formally, I did feel that it was the right time because the party is not in power in the state or at the Centre. So, I would be under no obligation and I can freely express my views. Would you say that more and more judges should join politics? I do not know because it all depends on their temperament. Many felt that I was too aggressive in my views, so I cannot speak about others.